The Salvation Army’s first food and shelter facility in Victoria, known as The Salvation Ark, opened on Cormorant Street in 1897. 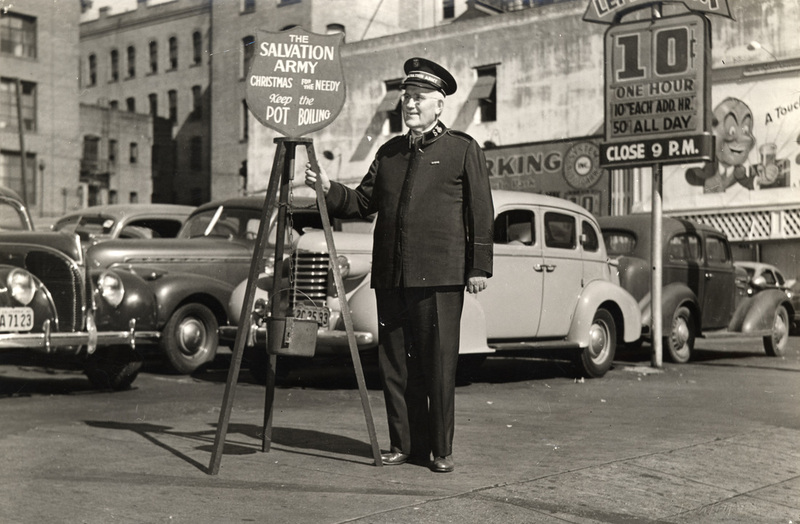 Need for social assistance in Victoria was growing quickly, however, and in order to meet the need, in 1918 The Salvation Army relocated the shelter to a larger building on Johnson Street. The facility expanded further the following year and included a thrift store and light industrial operation, offering the opportunity of employment and income to the shelter’s residents. The Salvation Army opened a second Centre in 1956. Located on Yates Street, the facility was named Harbour Light and was for the specific treatment of alcoholism in men. Victoria’s was the third Harbour Light Centre for the treatment of alcoholism to be opened in Canada. as well as a new half way house for men. The facility on Yates Street closed down, and in 1982 the new Johnson Street building was opened and renamed the ARC to reflect both the Centre’s beginnings on Cormorant Street and its capacity as an Addictions and Rehabilitation Centre. The thrift store still remains today. The ARC programs and services have since continued to expand in order to serve the ever-increasing and changing needs of our community. The Victoria Addictions and Rehabilitations Centre (ARC) is a 147 bed facility that has been situated in downtown Victoria for nearly 30 years. Our multipurpose facility makes every effort to give its residents the opportunity to live in a safe drug and alcohol free environment. 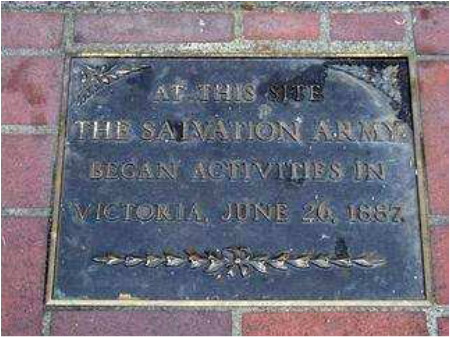 This stone is laid one block from the current ARC and denotes The Salvation Army's first ministry in Victoria.